Viknesh Vijayenthiran September 14, 2012 Comment Now! 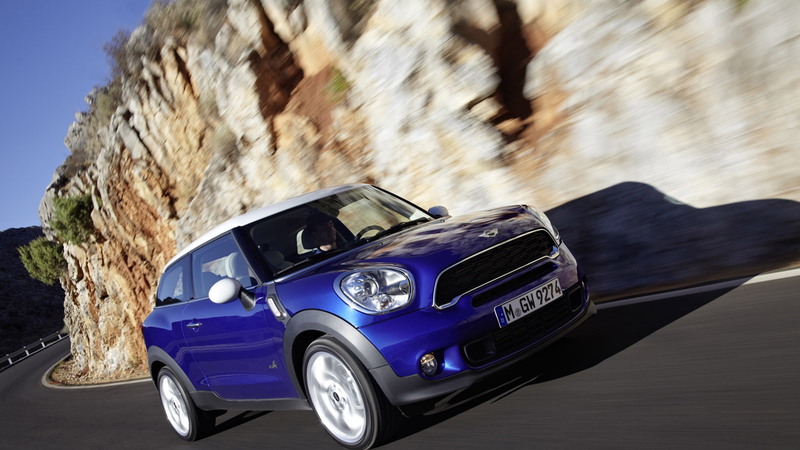 MINI has revealed the seventh addition to its ever-expanding lineup, the all-new 2013 MINI Paceman. 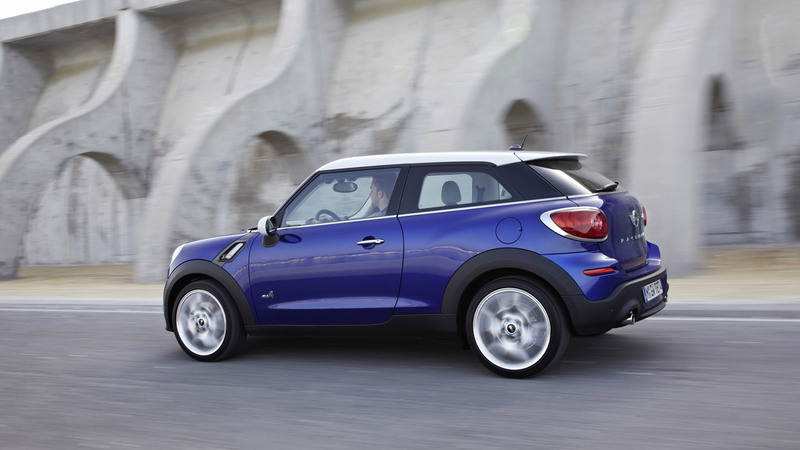 Essentially a coupe version of the Countryman crossover, the new Paceman makes its official world debut at the 2012 Paris Auto Show before--hopefully--hitting showrooms in the not too distant future. This is the production version of the almost identical Paceman concept car that we saw two years ago. It features all the typical MINI styling cues and combines this with a crossover body and drivetrain with available ALL4 all-wheel drive. The standard configuration is front-wheel drive. With its two doors and large tailgate, plus four-seater cabin (there are two individual seats in the back, though only small children fit here), the Paceman would be ideal for young couples looking for something a bit unique in the burgeoning compact crossover market. 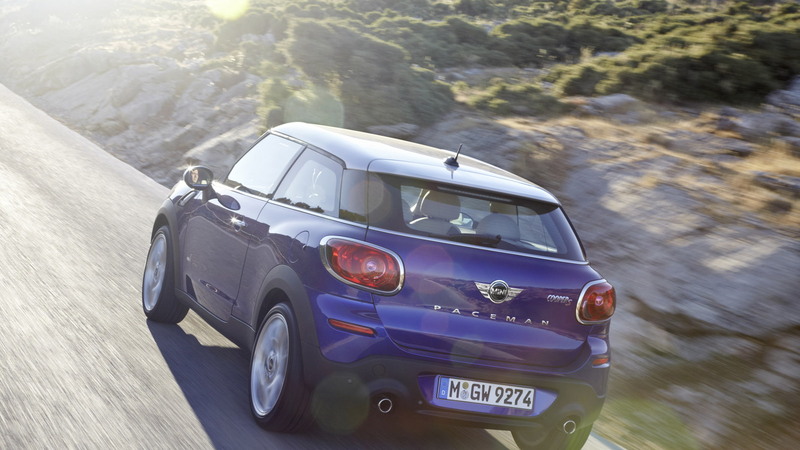 Folding down the rear seats expands the load capacity of the MINI Paceman from 11.6 to a maximum 38 cubic feet. The dash is your typical MINI affair, comprising a large circular center speedo, decorative rings, scalloped doors, and newly designed surrounds for the air vents. MINI’s center rail storage compartment is also fitted as standard. Other standard goodies include air conditioning, sports seats up front and 16-inch alloys. Available features include xenon headlights, rain sensing wipers, parking aids, an electronically operated glass roof, satellite navigation and a Harman Kardon sound system. Buyers will also be able to upgrade the wheels to 17, 18 and even 19-inch sizes. 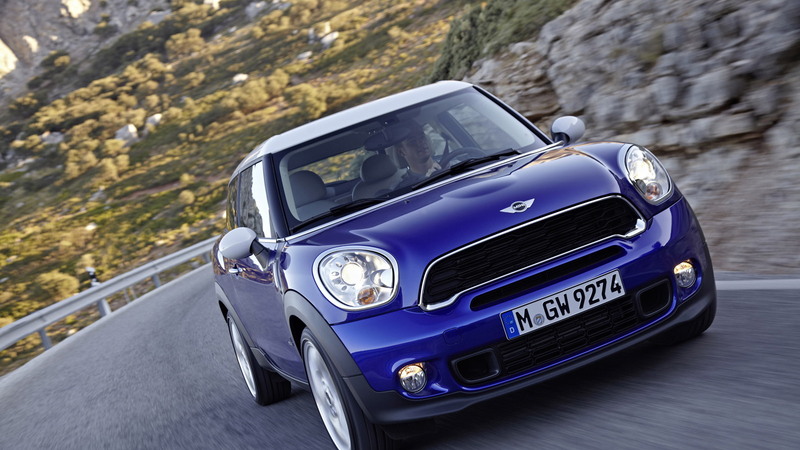 So far only the entry-level MINI Cooper Paceman and slightly sportier Cooper S Paceman have been announced. 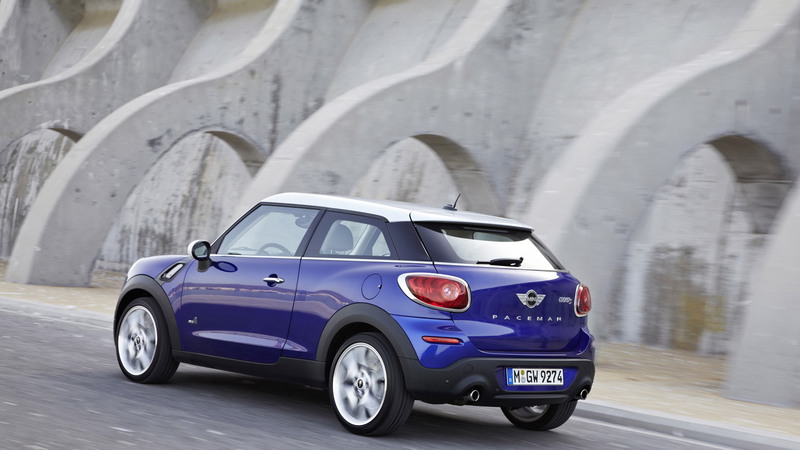 The regular Cooper Paceman comes with a 1.6-liter four-cylinder engine with 112 horsepower and standard front-wheel drive, while the Cooper S Paceman gets a turbocharged version of this engine with 184 horsepower on tap. Further down the track a John Cooper Works Paceman with more than 200 horsepower will be introduced. All Paceman variants come with a six-speed manual gearbox or a six-speed automatic as an option. Stay tuned for more, including all the live images from the Paris Auto Show once it gets underway on September 27.